For my fourteenth birthday, I received a gift certificate to go to Glamour Shots. When I was growing up, there was a Glamour Shots in every mall in the San Fernando Valley. I was STOKED to get that present. I’d wanted Glamour Shots taken since I was nine or ten. I’d wanted to get the pictures taken right away, but I had to wait for softball all-stars to be over. It was an excruciating month-long wait. I don’t remember a lot of the session other than the guy that did my hair and makeup made me feel like I was the most gorgeous girl ever. My mom said that after the session we went to a restaurant and she was tempted to have me order a drink. She was certain I wouldn’t have been carded. Looking at the picture, I have to agree. Remember people…it was the early nineties. The fashions of the eighties hadn’t quite left The Valley. Here I am in all my Glamour Glory. Can you believe I’m onlyFOURTEEN in that picture? Can you believe the bedazzled and befringed coat? CAN YOU BELIEVE THE HAIR?! You can’t even SEE all of my hair – it went almost to my waist. I just heard Whoorl’s head explode. That freaking picture was in the entry way of my parents’ house until they remodeled. A nice glossy 8×10, framed. My brother LOVED to point it out to people. Mike thinks it’s the funniest thing in the world. But Mike doesn’t know that there are OTHER POSES!!! My mom could only find this one print. I happen to know there is an image of me floating around out there that has me wearing…a red cowboy hat on! Big hair! Red cowboy hat! Like I was Miss Texas or something. There is a part of me that is glad my mom couldn’t find that picture…and the other part is hoping it turns up when I need a REALLY good laugh. The pictures are fun to laugh at now, but I am glad that fourteen year old Heather had such a fun experience. A fun experience that, thankfully, predated digital photography. Blood And Gore!! !Blood And Gore!!! Ooh. Nashville called. They want their look back. Holy High Hair, Batman. That is some GLAM! I was disturbed to discover last week that my old high school boyfriend posted MY glamour shot-esqe photo on his Facebook page. At first I was horrified that it was there. Then I became sad that it is a reminder that I am not aging well. Sigh. That is some B-I-G hair. I was never allowed to get a Glamour Shot – I am sad now that I don’t have a big haired cowboy hat wearing picture. Keep this in mind when Maddie is fourteen and wants to try out new looks that horrify you. My favorite part is a tie between the bangs and the way you’re grabbing the collar of the (rodeo) jacket. LOVE it!!! Gorgeous gorgeous gorgeous, and I’m especially digging the be-dazzled jacket. I was also about 14 / 15 and I’m wearing a suit jacket and a bow tie. 1/2 of the women at my office look like this. I have a girlfriend whose parents took hung her and her sister’s glamor shots in their house and only replaced them when both the girls got married with bridal portraits. But they were way bigger than 8×10. When she got married taking that picture down was one of the things she was most excited about. 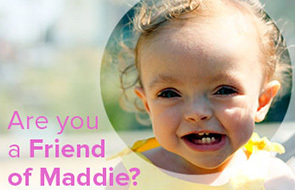 Just think of the laughs that Maddie will get out of that when she’s older. Ahh Glam shots. I had one of those done back in the early 90s, because I didn’t have a scanner and needed a way to send a picture of myself to my on-line harem. Ahh the good ole days. I absolutely love this picture – and the story you wrote to go along with it! What a great experience – that the person styling you made you feel so gorgeous and happy and proud of yourself, during what is normally such a tough time in a girl’s life physically. I need to keep this in mind for my daughter when she’s older. I cannot wait to see Maddie’s glam shot when she’s 14! Somehow, I had ALMOST managed to block Glamour Shots from my brain. I was bitter for YEARS that I never got any. Now, I just thank sweet baby Jesus that my parents just said NO. wow. Dallas called. you’re needed on set. Can’t tell where the brains are with all that hair in the way. Cowboy hat would make me just give up and eat Mike’s brains. I’m DYING right now! That is my favorite picture ever! Didn’t you and Mike meet on GlamourShots.com? Did I ever tell you that one of my first jobs was AT Glamour Shots? When business was slow we’d take turns doing each other’s hair and taking pictures….tell me you’re sitting down. Are you sitting down? K, ready? You look older in that picture than you do now. I always wanted glamour shots! Rawr is right! You are one saucy minx. Thanks for posting this today…I needed that! Those bangs are the best thing about the whole picture. How long did it take to curl them under to perfection? And I hope you held onto that jacket cause it’s coming back in style. I’m serious. God, I so want to see the cowboy hat pic. 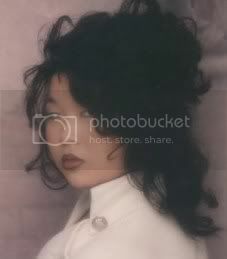 holy hell- you have just inspired me to post my 1993 Glamour Shots. As soon as I find and scan…. I will join you in the Glamour Shots Hall of Shame…. this should have come out when we were determining our relationship. I got nothing on this. I so always wanted to do Glamour Shots when I was a kid. I would stare at their little store in the mall every time I went past. I always wanted to have Glamour Shots done too. Alas, I never was blessed with such wonders. Thank you for sharing yours. I hope the cowboy hat turns up…I need a laugh. You are stunning Heather! OMG! You totally look like you should have been on Dynasty and having catfights with Heather Locklear. My favorite part is how you’re holding up your lapel. Who determined that to be the gesture of sassy confidence? I would do Glamour Shots in a heartbeat if they still had them at the Galleria. Beckys last blog post..That’ll do, dog.